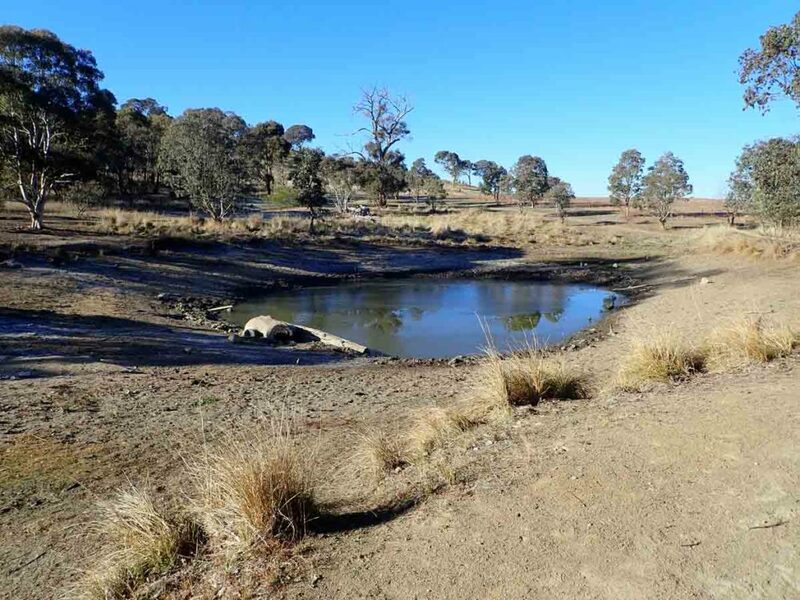 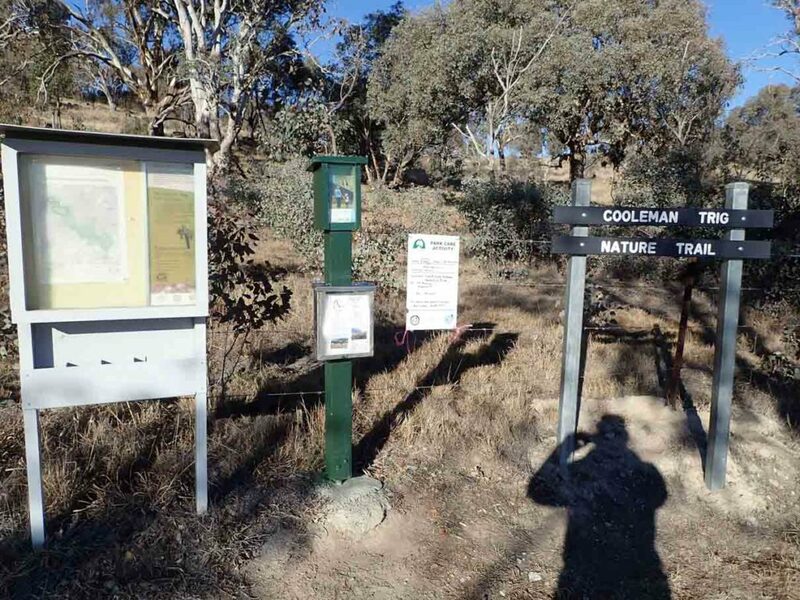 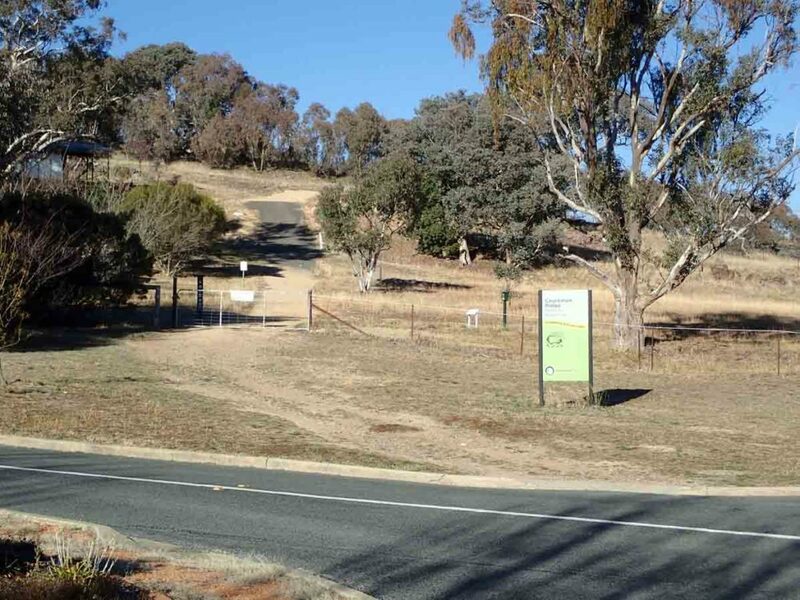 The Cooleman Ridge Nature Trail is another of Canberra’s hill walks that provides scenic views over part of the city and at the same time into the surrounding bushland thereby creating the best of both worlds. 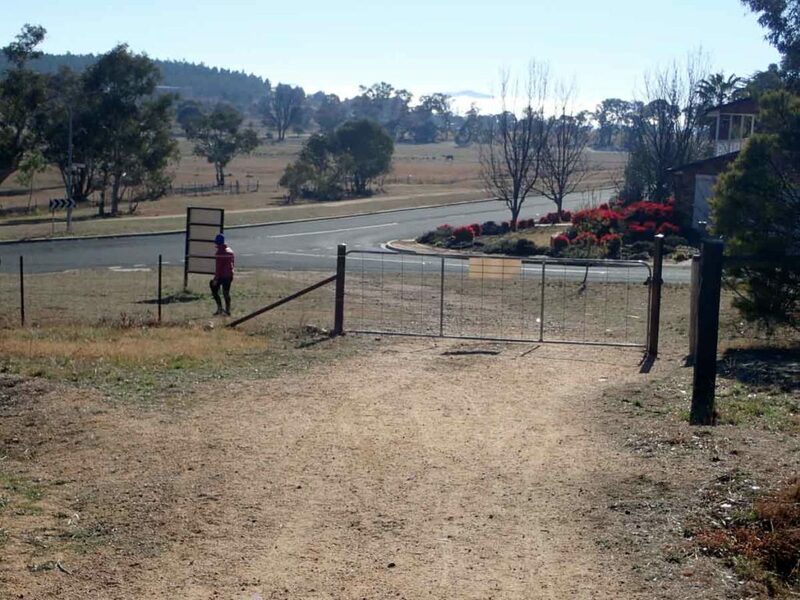 This walk started out a bit slow but by the end I really felt that this shortish walk was well worth it. 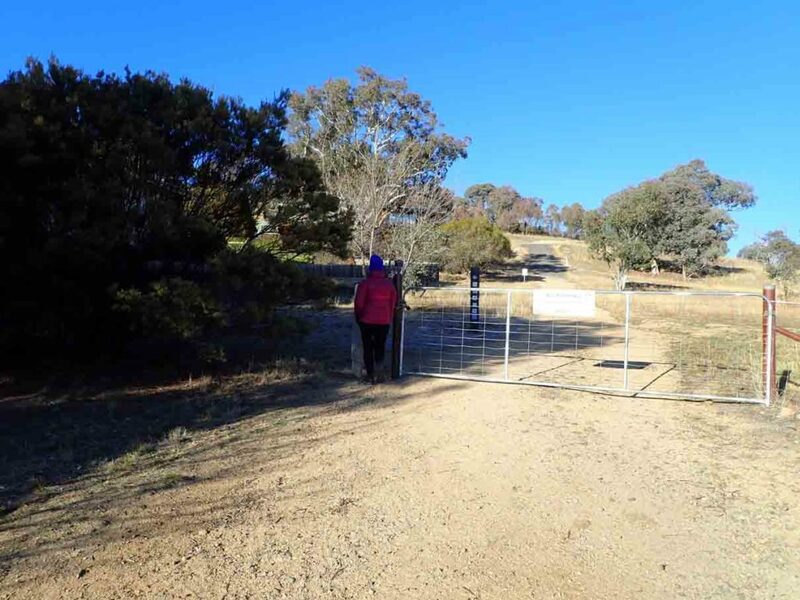 The walk starts at the end of Kathner Street in Chapman and from here you enter the reserve through an access gate. 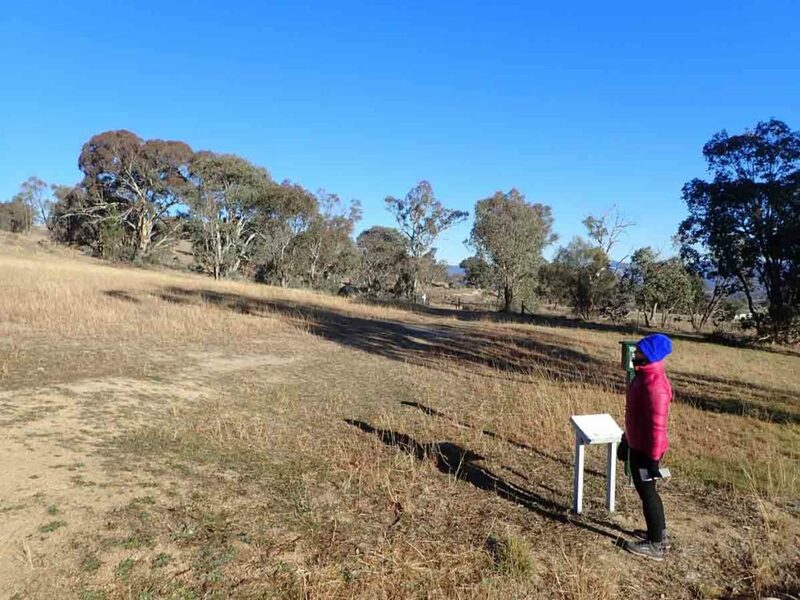 Very shortly after you start the walk you will see a small wooden box with walk brochures that provide information on what you will see along the way. 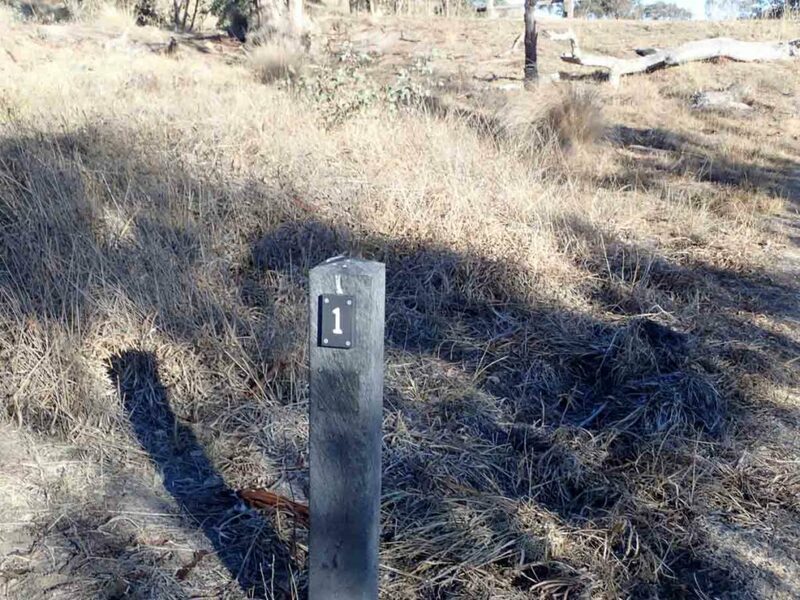 You can do this walk in either a clockwise or anticlockwise direction however the numbering systems directs you to go anticlockwise; the views are more logical in this direction as well. 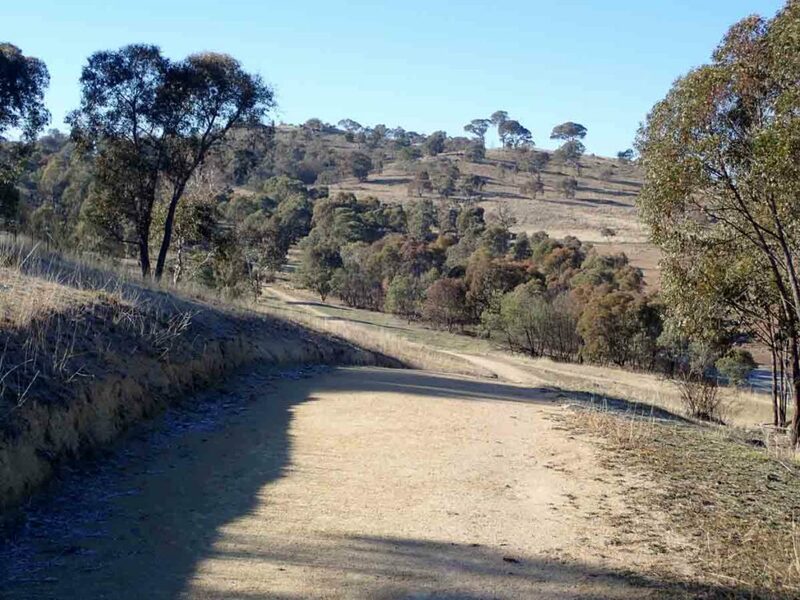 Once you have made up you mind which direction you will travel follow the well worn trail along the base of the hill before ascending upwards at a gradual pace. 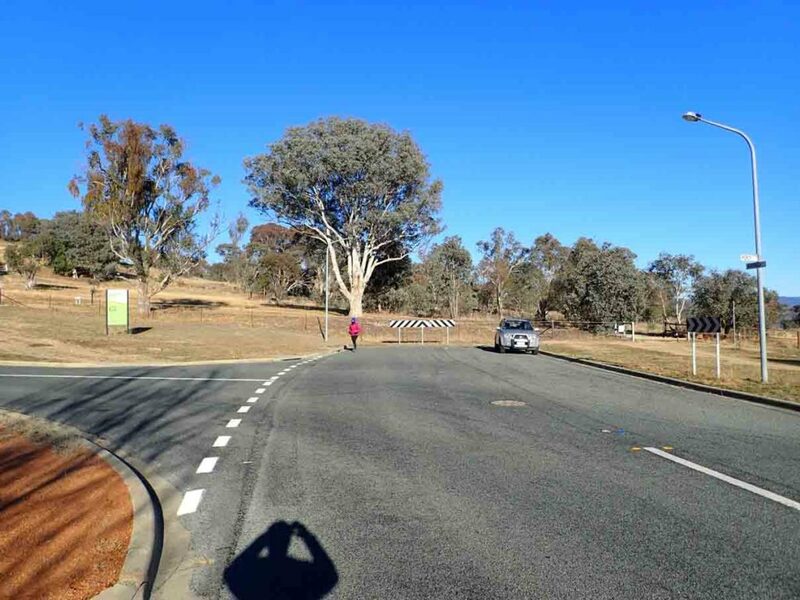 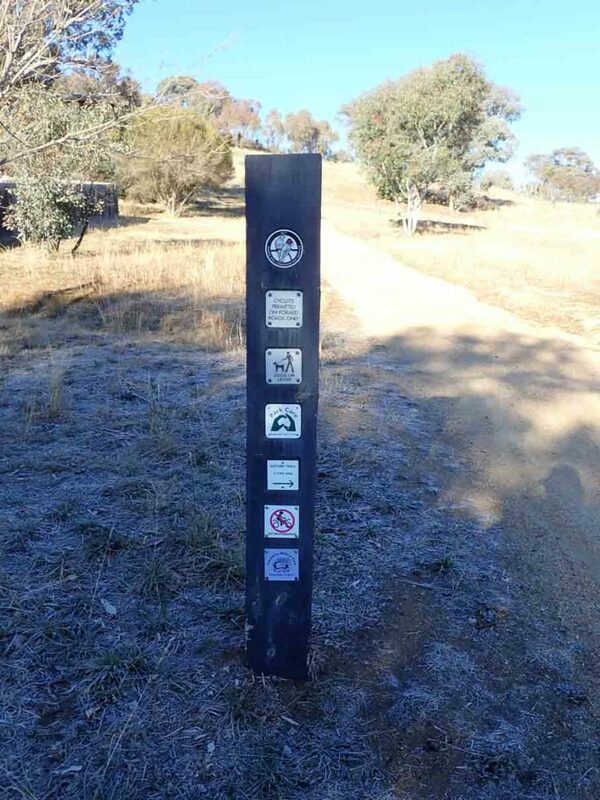 A word of warning here to follow the numbered signs and marker arrows and not the Canberra Centenary Trail markers as the trail diverges and reconnects at a later stage. 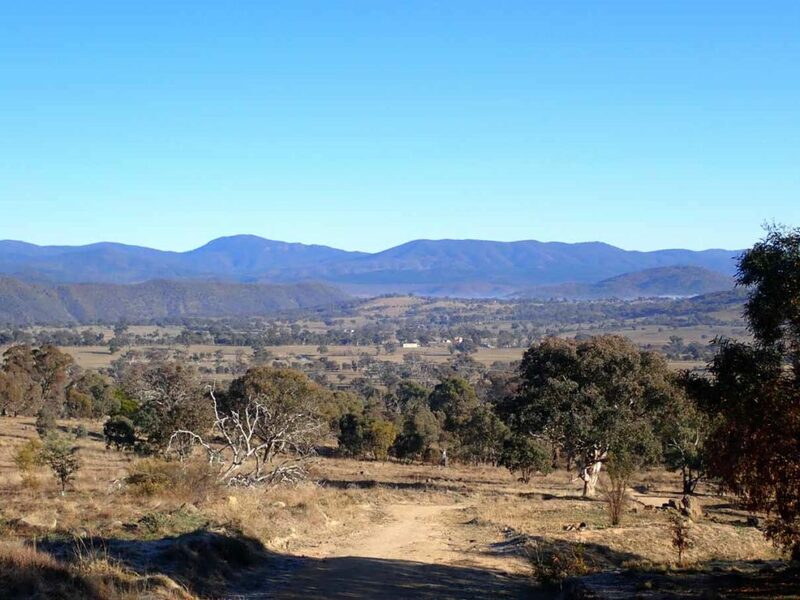 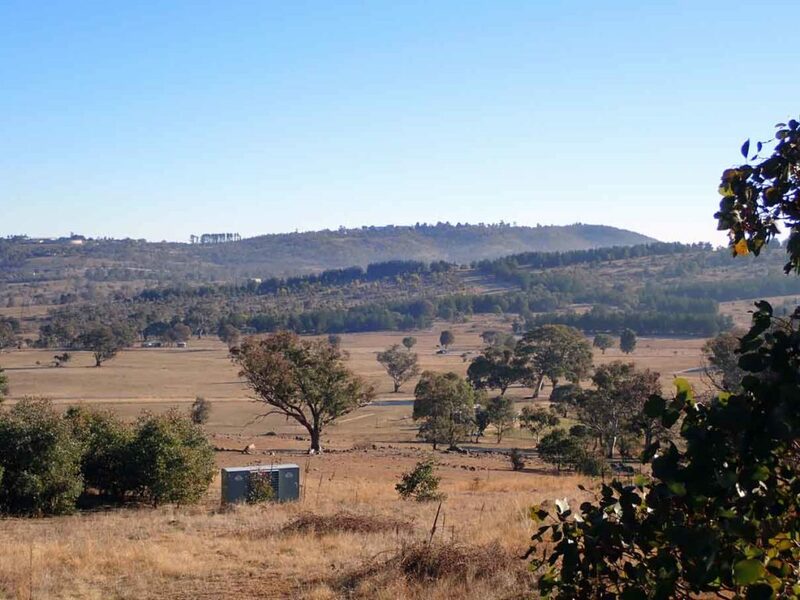 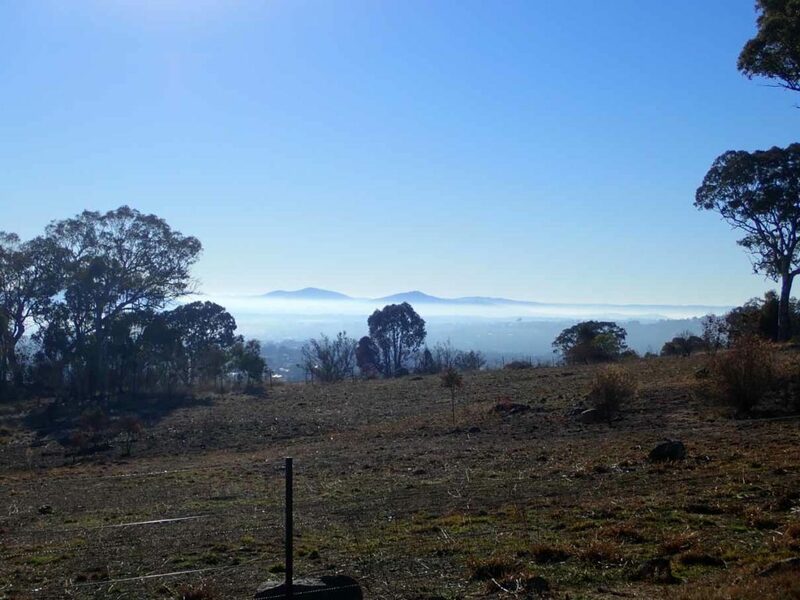 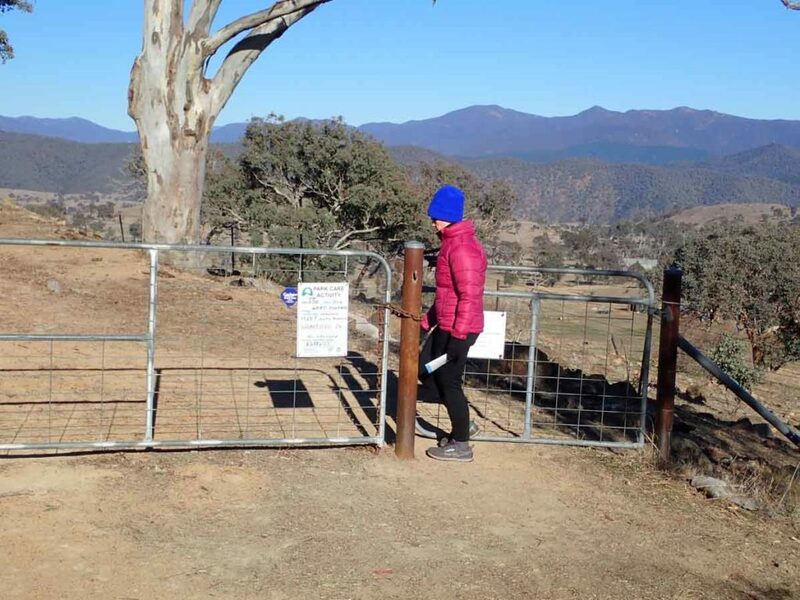 The initial views of this walk are into the nearby farmland and over towards the inner hills that surround the western part the city and help to frame the Brindabella Mountain Ranges in the background. 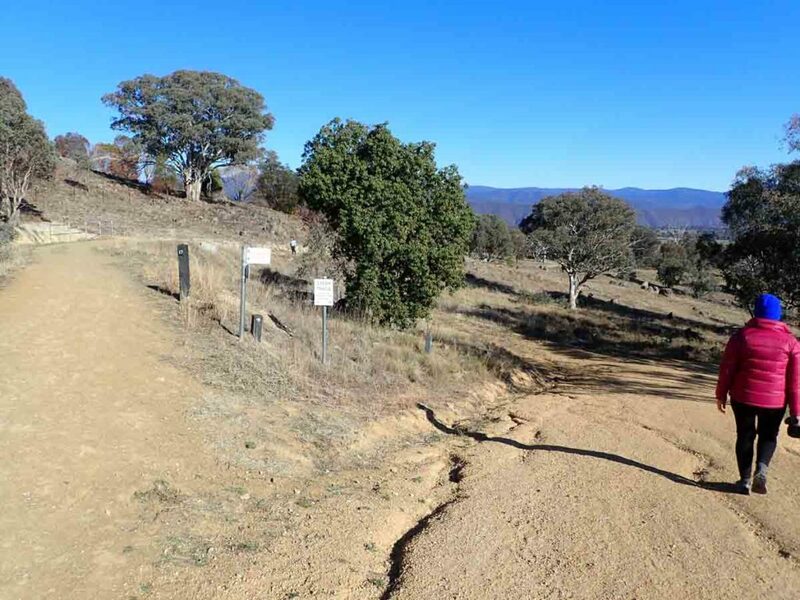 For me this walk became really interesting once you reached the first high point on the trail with provided much more scenic views. 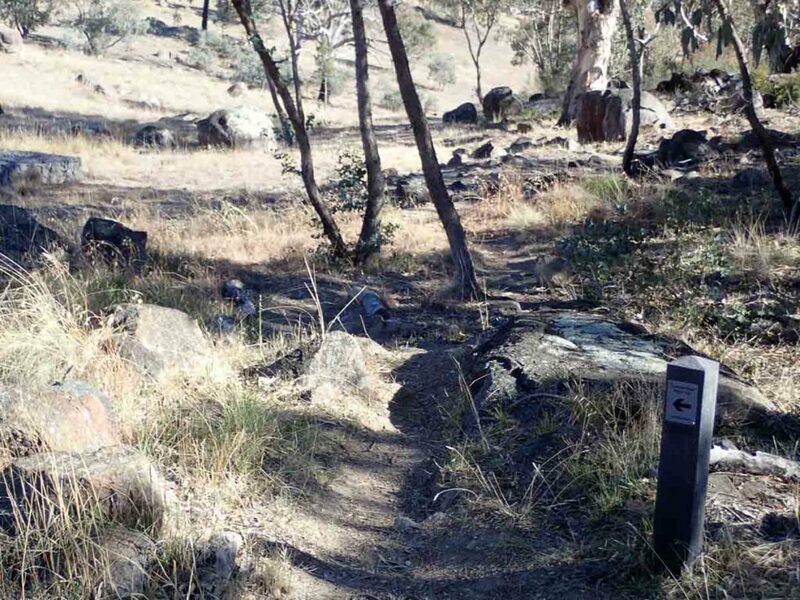 The trail then continues downwards before starting to head up the main hill and at this point you start to loop back towards the start point. 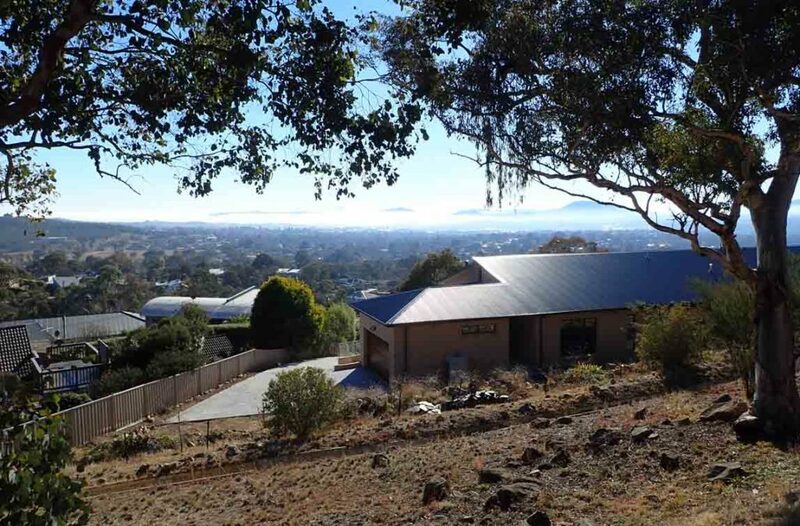 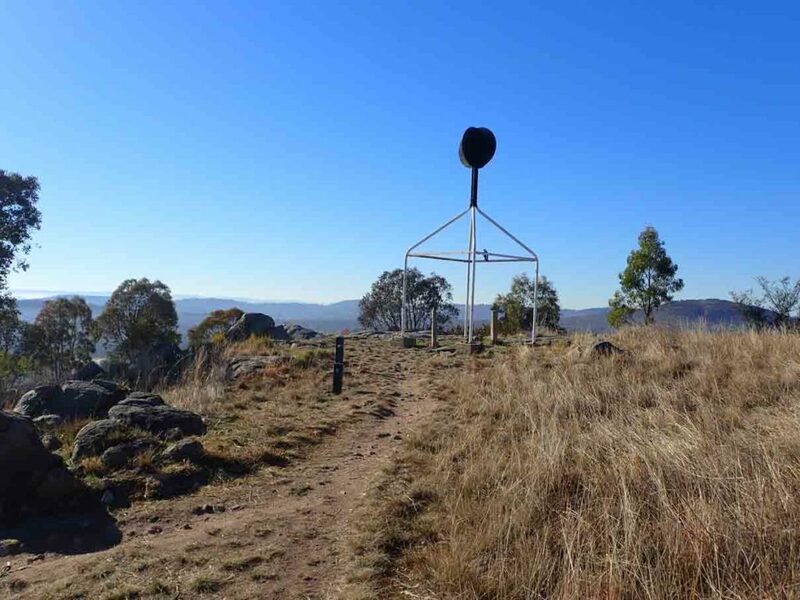 Just over 2km into the walk you reach the high point at the Trig Station and this is where you get the best of the views into the surrounding suburbs, over the Brindabella Ranges, and further to the north Black Mountain. 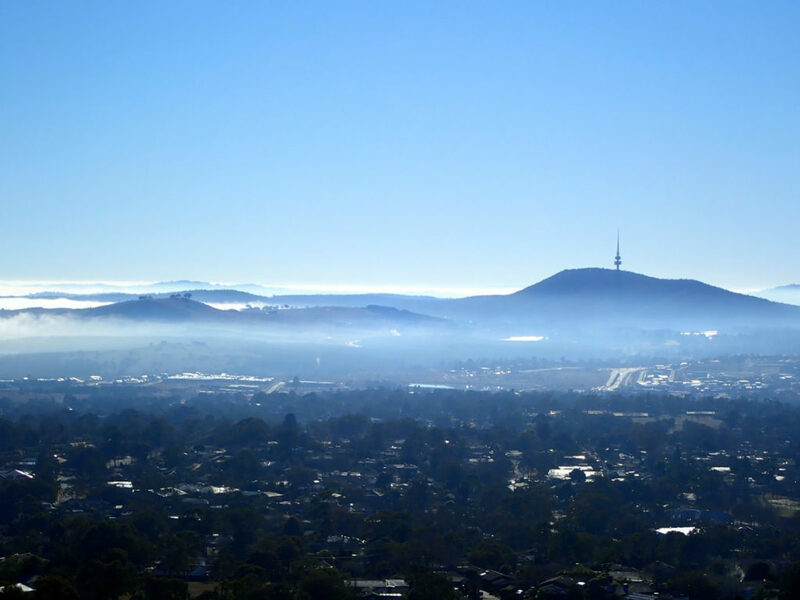 One of the things that I love about hiking in Canberra’s winters is the pockets of fog and cloud that are trapped in the valleys with the hills being high enough that you catch glimpses over this trapped moisture and have full sun at the same time. 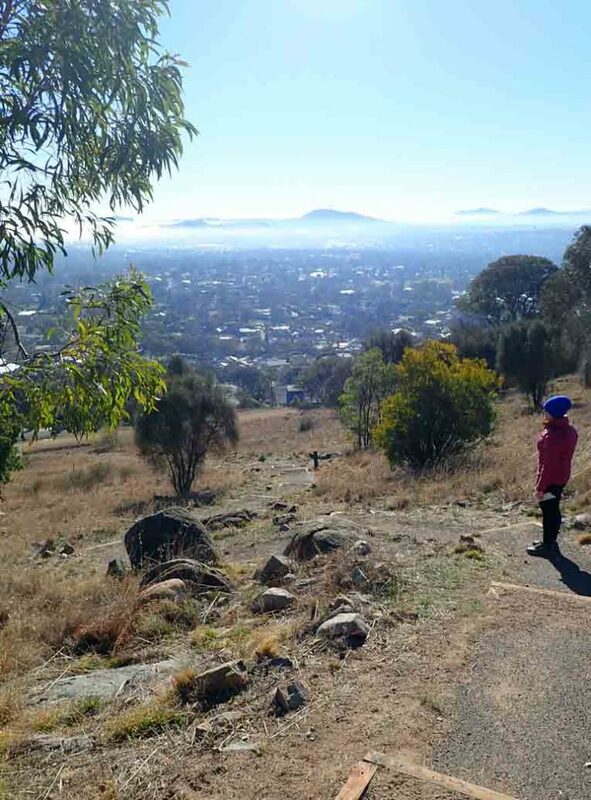 From the summit head down the hill on the stairway following the trail indicators and at the base of the hill above the last row of houses you follow the management trail back around the hill before descending downwards to your starting point and the car park. 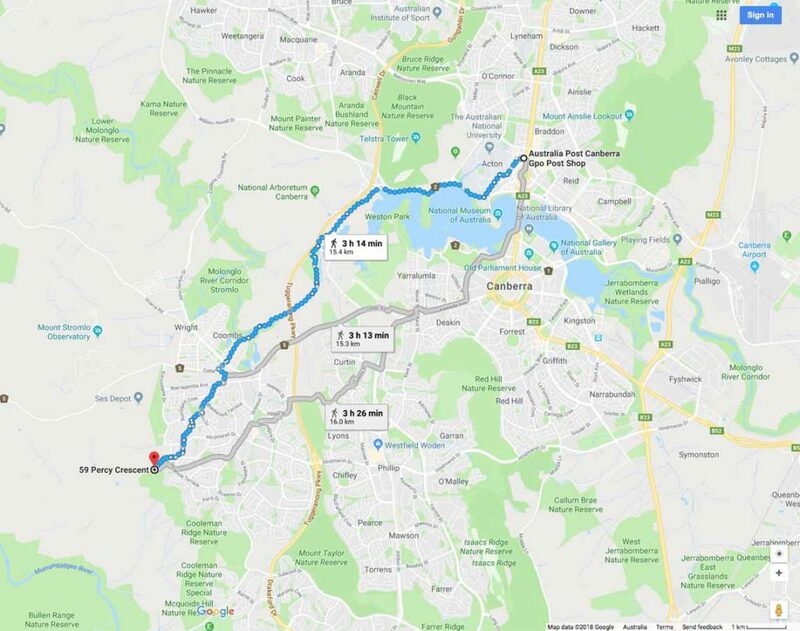 This walk is not overly long or difficult but is definitely worthwhile doing at least once and if you happen to live in the local area its a great training walk providing good variety. 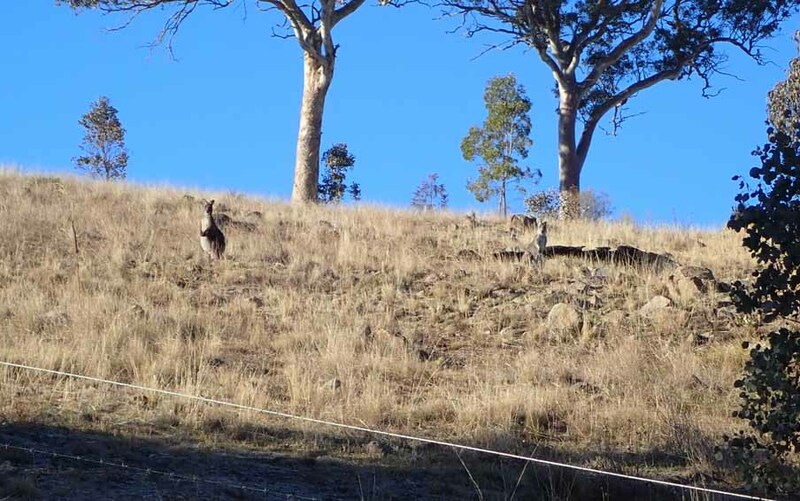 Can I help you? 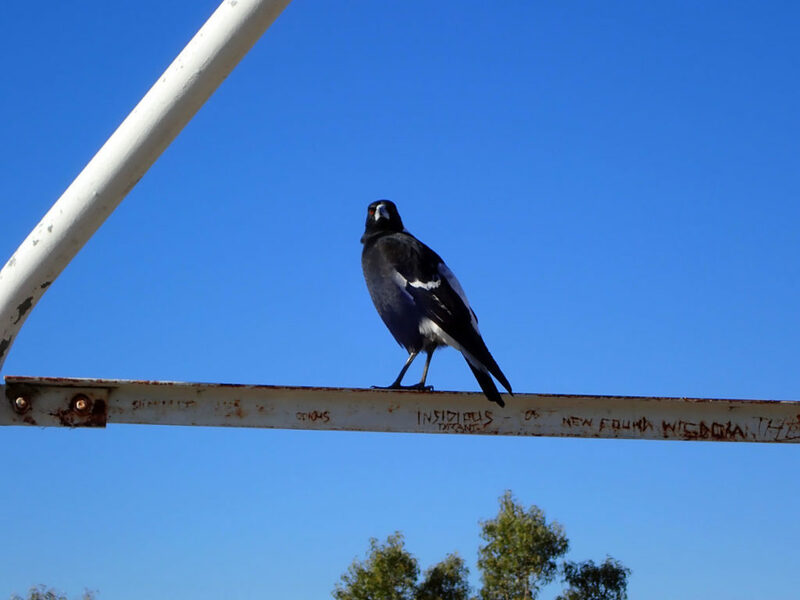 This Magpie was a bit annoyed that we bothered it. 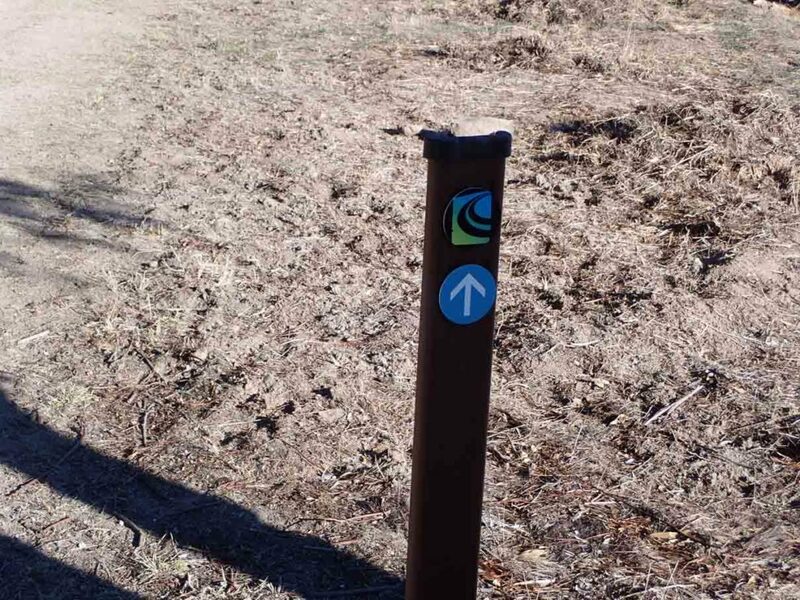 The best place to start this walk is from the end of Kathner Street in Chapman.